There is still 'small' hope. Barring any unforeseen development, the Governor Advisory Council (GAS) will meet on Saturday night (today) to conclude all matter concerning the Lagos State ticket of the All Progressives Congress. Will Tinunu back Sanwo-Olu or Governor Ambode? It was gathered on Friday that the body would meet on Saturday and recommend the aspirant that could win the state for the party. Babajide Sanwo-Olu has however got the backing of the Mandate Movement in the Lagos APC. 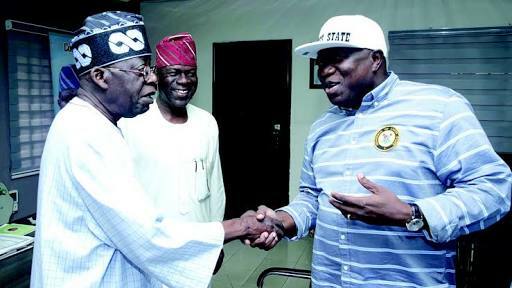 The Mandate Movement is led by the National Leader of the APC, Asiwaju Bola Tinubu, who was Ambode’s political godfather. Sources told The Punch that although the governor met with President Muhammadu Buhari on Thursday, nothing had changed. A friend of the governor said the feeling in Ambode’s camp was getting better.